Flash Boys is the latest from Michael Lewis; it's a pointedly literary business book featuring arresting characters, punchy (though not always credible) dialogue, and a comforting good versus evil story line. It’s the kind of financial journalism that could trigger movie royalties. The Flash Boys themselves don’t appear in the book. They are the shadowy ‘high frequency traders’ (HFTs) found within dark pools and hedge funds. HFTs use computer power and unfathomable speed to score the tiny transactional profits that form the bases of great fortunes. 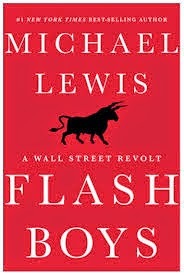 And – in the view of Lewis’ characters – the Flash Boys aren’t playing fairly. High frequency trading occurs so fast that ‘after’ becomes ‘before’ in a way that seems to challenge our conventional sense of time. The Flash Boys appear able to mysteriously know what we intend to carry out in the market before we do it – and it is almost so. In the simplest case described by Lewis, a conventional purchaser of a large block of shares will see its order fragmented into small transactions arrayed at various (usually escalating) prices. The lowest price attracts the first execution. An offer is dangled by the high frequency trader as bait – small quantities of shares (often the minimum 100 share order) at alluring prices. As the trap snaps closed, that is, as the token trade is executed and reported, it signals to the high frequency trader that an active buyer has likely entered the market. The high frequency trader (which has just sold the unwitting purchaser a small quantity of shares) then uses speed (built literally on proximity to stock exchange servers) to outrun the execution of the greater bulk of the purchaser’s order – buying up shares at available prices and then reselling these to the purchaser at higher prices – all within a tiny fraction of a second. The unwitting market participant betrays herself; revealing in one instant what will likely follow in the next. So this is the market behavior Lewis has uncovered – he then proceeds to build story around it. 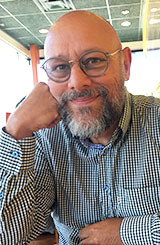 In the first story, a mysterious entrepreneur lays fiber cable in the straightest possible line between the commodities markets in Chicago and the trading desks (that is, computers) in New Jersey, resulted in the fastest possible electronic connection. The second – and main – story involves a host of good-guy bankers attached to the New York outpost of the Royal Bank of Canada. They are a motley crew of outsiders, including Brad Katsuyama, the Japanese-Canadian (“of all things”) leader of the band, and Ronan Ryan, an Irish (not Irish-American) techie turned trader, who uncover and counter the traps laid by the Flash Boys. Their solution to HFT predation is in part technical (they gain better pricing by slowing things down), but is largely premised on creating a trading space called IEX with fairer rules. And here Lewis fails to inquire. For he assumes (along with his central characters) that somehow the HFT players have been acting unfairly. Well perhaps they are, but it isn’t morally obvious that they are. Recall that the HFTs effectively outrun the large bidder, accumulating shares at favored offered prices and then reselling them an instant later to the bidder at higher prices. Their speed in outracing the bidder is due to a technological advantage – their physical proximity to the servers that host the major securities markets. But as Lewis shows, the HFTs pay for that proximity. Now physical proximity might seem a rather arbitrary form of trading advantage, but it is hardly less so than many other competitive advantages, some legal (smarter analysts? ), some not (inside information). And trading speed is an advantage that could be eliminated with a simple rule change. Bids could be accumulated throughout a longer time horizon (say a full second), and then matched according to the ladder of offer prices, with a lottery or auction serving as a tie-breaker when needed. Lewis does make clear that the HFT problem he explores is more an unintended result of a regulatory design (Reg NMS, that is) than a nefarious use of technology. But if it is bad rulemaking that enables the Flash Boys, then they can hardly be viewed as unfairly preying on investors. The third and saddest story involves a mystical Russian programmer, Sergey Aleynikov, who is arrested and convicted at the behest of Goldman Sachs for taking proprietary code. Aleynikov, Lewis notes, is one of the few actors in Wall Street prosecuted in recent times; rather than stealing from investors, he was imprisoned for stealing from Goldman Sachs. The story is disturbing from start to finish. The FBI uncritically follows up on Goldman’s complaint to seize Aleynikov; the federal prosecutors seem even less interested in investigated exactly what it was the Aleynikov took. Judge and jury are mystified by the technology – and Aleynikov resigns himself to his fate. Lewis in the end skewers Goldman Sachs for its inexplicable hostility to former employee Aleynikov, yet praises Goldman for renouncing HFT tactics and supporting Katsuyama’s IEX.